Munich, April 1, 2019 –AURELIUS Equity Opportunities SE & Co. KGaA (ISIN: DE000A0JK2A8) will sell its subsidiary Granovit, with its headquarters in Lucens (Switzerland), to the current management team led by CEO Andreas Fischer in the form of a management buy-out. The company produces premix and compound feed for poultry, swine, beef cattle and dairy cattle for the Swiss market at three production facilities. The product portfolio also includes specialty feed for pets, horses and zoo animals, as well as medicated feed. The parties have agreed not to disclose the financial details of the transaction. AURELIUS had acquired the company from Cargill in 2017. The carve-out from the Cargill Group was successfully completed in only three months. Among other things, an independent finance department and IT infrastructure were developed and the company was positioned in the market under the new name Granovit in 2018. The company’s structures, processes and costs were optimized and adapted to the requirements of a medium-sized Swiss enterprise. In addition, the portfolio was drastically streamlined with a focus on quality, while a new number of products were introduced to the market, which have established Granovit as a brand in the Swiss market. Piper have invested £6m into Mindful Chef, the UK’s favourite healthy recipe box brand. Mindful Chef was set up by childhood school friends Rob Grieg-Gran, Giles Humphries and Myles Hopper with a mission to make healthy eating easy. Since its launch in 2015 it has experienced rapid growth – including a 178% rise in sales in the past year – delivering nearly two million meals to UK consumers. Based in Wandsworth, London, the brand has annualised sales of £10m and employs 27 people. With its focus on making healthy eating easy, all Mindful Chef’s meals are healthy and nutritionally balanced, are gluten and dairy free, containing no refined carbs or sugars. All the ingredients are fresh, high quality and sustainably sourced from local farmers where possible. Each week 16 different recipes are available for customers to select from. For the growing number of UK consumers continuing to seek out a healthier lifestyle, Mindful Chef helps customers discover and cook quick and easy nutritious, tasty recipes in a way that is convenient, saves them time and reduces food wastage by providing only the food you need to eat and reducing trips to the supermarket. For many customers, Mindful Chef has ignited or rekindled the enjoyment of cooking and a delight in discovering new otherwise difficult to source ingredients and flavours. Customers are also supporting Mindful Chef’s charity One Feeds 2, through their purchases. For every meal purchased, Mindful Chef donates a meal to a child in poverty – to date the company has provided more than 770,000 meals for children in living in poverty. 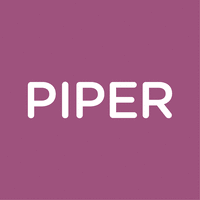 Piper’s £6m investment will enable the business to continue to grow and expand its customer base in the UK, helping it capitalise on the rapid growth of the recipe box market which is forecast to double over the next 10 years. It is the fifth investment from our sixth £125m fund. Tim Lee, previously Head of Food and Online Strategy at Marks & Spencer, joined the business earlier in 2018 as CEO. Antwerp (BE) / Louhans and Paris (FR), 30 October 2018, 7:30am – Created in 1994 in Louhans (Saône-et-Loire) by Michel Vanhove, La Comtoise develops and supplies tailor-made cheese solutions to industrial food processing groups, which are integrated into prepared foods such as breaded escalopes (cordons bleus), grilled ham and cheese sandwiches (croque-monsieur), sandwiches and hamburgers. Backed by Cerea Capital II and Unigrains since 2015, La Comtoise has achieved impressive growth to reach a turnover of EUR 33 million with a headcount of 37 people. La Comtoise is positioned in the buoyant and resilient snacking and processed food segments and has been on a steady growth path for a number of years. With top-quality R&D capabilities and efficient production facilities, it develops tailored products for existing and prospective customers capable of adapting to the most demanding requirements in terms of organoleptic properties, while meeting the highest standards of production processes. Gimv’s investment comes at a time when the company is doubling its production capacities to 24,000 tonnes a year. La Comtoise is keen to step up its growth with the development of new solutions, notably in cheese sauces. It will thus address a new clientele, particularly out-of-home catering. Drawing on the French expertise in cheese production, which is recognised all over the world, La Comtoise intends to strengthen its international presence. It will benefit from the support of Gimv, which has an extensive business network across Benelux and DACH countries. The deal is expected to be completed by the end of 2018. Paris, July 26th 2018 – Ardian, a world-leading private investment house, today announces that it has co-arranged a €50m subordinated financing to support the acquisition of Mademoiselle Desserts by IK Investment Partners. The financing package includes a committed acquisition line to support the Group’s growth strategy. Mademoiselle Desserts is one of the leading producers of frozen baked goods in Europe. Founded in 1984, the Group offers a wide range of high-quality and innovative products distributed to some of the largest organizations in the retail and foodservice market. Mademoiselle Desserts, which currently employs 1,300 people across nine production facilities in France, the UK and the Netherlands, holds a leading position in France and the UK due to a diversified range of quality pastries. The Group is forecast to reach approximately €225m in sales in 2018. “We are impressed by the Group’s development in the UK, France and the Netherlands. Together with the management team, we will strive to broaden the product portfolio via targeted acquisition opportunities. Ardian has been a long-term partner of the Company, and we are delighted to see them reaffirm their support. ” said Rémi Buttiaux, Partner at IK Investment Partners and advisor to the IK VIII Fund. Ardian is a world-leading private investment house with assets of US$71bn managed or advised in Europe, the Americas and Asia. The company is majority-owned by its employees. It keeps entrepreneurship at its heart and focuses on delivering excellent investment performance to its global investor base. Holding close its core values of excellence, loyalty and entrepreneurship, Ardian maintains a truly global network, with more than 500 employees working from fourteen offices across Europe (Frankfurt, Jersey, London, Luxembourg, Madrid, Milan, Paris and Zurich), the Americas (New York, San Francisco and Santiago) and Asia (Beijing, Singapore and Tokyo). It manages funds on behalf of around 700 clients through five pillars of investment expertise: Funds of Funds, Direct Funds, Infrastructure, Real Estate and Private Debt. Mademoiselle Desserts, formerly known as Européenne des Desserts, is the French leader and one of the leading European players in the frozen bakery industry. Operating through 9 manufacturing sites in France, the UK and the Netherlands, Mademoiselle Desserts offers a large range of premium frozen industrial pastry products to its retail and foodservice customers. The Group employs a total of 1,300 people. IK Investment Partners is a Pan-European private equity firm having raised more than €9.5 billion of capital. Since 1989, IK has raised more than €9.5 billion of capital and invested in over 115 European companies, its current portfolio being composed of 28 companies. IK mainly invests in mid-sized companies that have strong market positions and strong improvement potential. Valedo Partners III AB (“Valedo”) has invested in the restaurant chain Pincho Nation AB (”Pinchos”) alongside its founders, key employees and board of directors. With Valedo as a new majority owner, Pinchos will benefit from increased resources in the form of competence and capital to realize and accelerate the Company’s long-term growth and development plan. Pinchos is a unique app-based restaurant concept, offering a broad menu of appetizers drawing inspiration from all over the world, including dishes such as Spanish quesadillas, Asian dumplings, Hungarian stake, French crème brûlée, and beverages such as mojitos, sangria, beer, and playful drinks in all the colors of the rainbow. The Company, founded in 2012 by Magnus Larsson, Jessica Ekelöf Larsson, Fredrik Mattsson and Johannes Räfsby, has grown significantly during the last years with approximately 45 units established in Sweden and Norway as of today. In 2017 alone, 17 new units were added to the chain and the Company plans to open more than 20 new units during 2018. “Pinchos has during the last few years had a fantastic growth and development, and it is obvious that consumers really appreciate our unique concept and atmosphere. As a founder and leader of the business, I am very enthusiastic about accelerating the development further with the support of Valedo as a partner, alongside our motivated and competent employees. Valedo will contribute with important competence and financial resources to enable our next step in the strategic journey of Pinchos.” says Magnus Larsson, CEO of Pinchos. The terms and conditions of the transaction are not disclosed. Valedo is an independent Swedish investment group that invests in high-quality small and mid-cap companies in the Nordic region. Valedo focuses on companies with clear growth and development potential where Valedo can actively contribute to and accelerate the companies’ development. Being an active owner and contributor of both capital and industrial experience, Valedo helps to ensure that its companies can achieve their full potential. Valedo has completed 24 platform investments and more than 100 add-on acquisitions. Valedo’s businesses have a combined revenue of SEK ~4 500 million with ~3 300 employees in more than 20 countries. Valedo’s exited businesses have on average grown by ~250% during Valedo’s ownership. irrevocable commitment from YHS Investment,holding 11.69% of Super Group’s issued shares,whose undertakingto accept is subject to approval of its shareholders. October 4, 2016, the last trading day of the shares prior to the date on which a query regarding trading activity was received on October 5, 2016 by Super Group from the Singapore Exchange. The commencement of the offer is subject to the receipt of regulatory approvals. Sapphire intends to exercise its right to compulsorily acquire the remaining shares and privatise Super Group. capabilities in non-dairy creamer, instant soluble coffee powder and cereal flakes.